Employees of the coal mines in Telangana make for an important vote bank and most of them have pledged support for KCR. 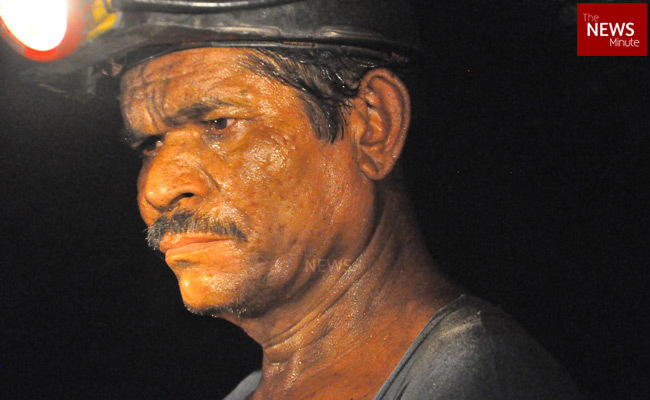 For 33 years, Kalaveni Mallaiah (58), a hardened mine worker, has assiduously striven to make ends meet. 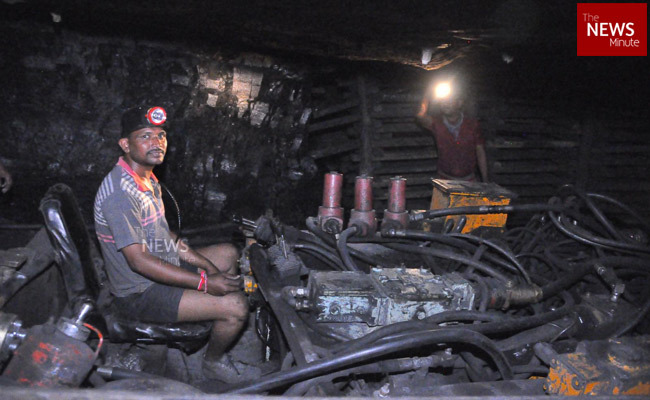 Traveling from Telangana’s Mancherial to the Singareni Collieries Company Limited’s underground mine in Srirampur daily, Mallaiah’s life, over the years had become listless and monotonous. “I had nothing to look forward to. There were no increments in wages. I was doing the same job over and over. I was stuck in a limbo for decades,” Mallaiah says. Over three months ago, however, Mallaiah began to think that he could finally turn his life around. 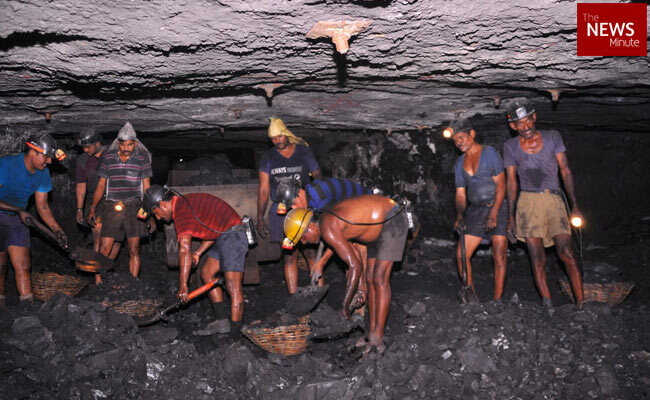 In August 2018, Telangana Chief Minister K Chandrashekar Rao (now the caretaker CM) announced that mine workers would get a 27% share in profits, instantly winning a special place in the hearts of thousands of demoralised workers. “I did not have anything to look forward to. Everyday, I would go into the mines and come out covered in dirt. The work I do has not changed for 33 years, but now, for the first time, I feel like I struck gold in a coal mine. I finally have something to look forward to and be happy about,” Mallaiah says. With the Telangana elections around the corner, thousands of mine workers have pledged their loyalty to KCR, whom they revere as the saviour of the poor and downtrodden. In a land where Andhra Pradesh CM Chandrababu Naidu’s name invokes hatred and anger, KCR has emerged as Chandrababu’s nemesis, thereby making him an attractive choice for the voters of Telangana. In the days of united Andhra Pradesh with Chandrababu Naidu as the Chief Minister, the voters of backward districts of present-day Telangana felt economically neglected. The electorate was disenchanted and felt like their resources were being plundered for the benefit of those living in Andhra Pradesh. “Every time Chandrababu came to ask for votes from us, he would promise to make our lives better. He kept promising that he would create more jobs, but that never happened. All the coal we would mine would in turn be used for the benefit of people in the coastal areas. 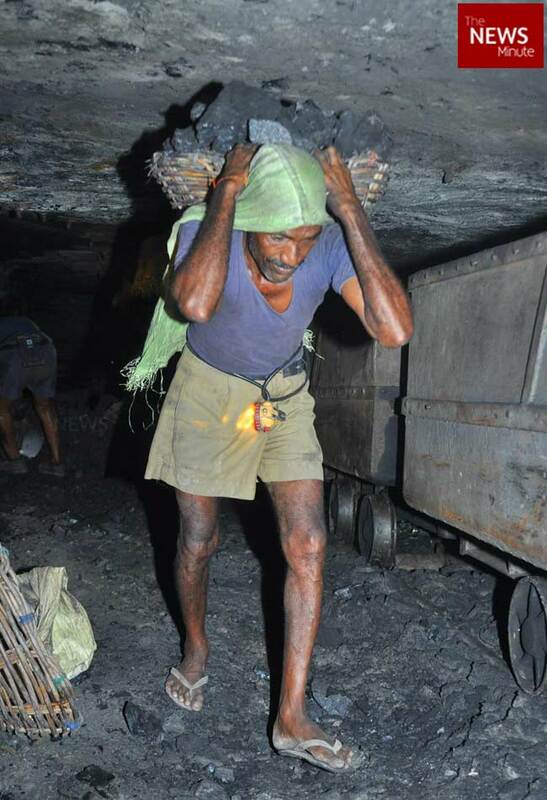 It’s our sweat and blood and he never respected it,” says S Mallaiah, a 53-year-old mine worker in Mancherial. KCR, who rode to power in 2014 as one of the main figures in the Telangana agitation for separate statehood, has seemingly managed to blow away the anti-incumbency through his populist schemes in some regions. One of the predominant reasons is effective implementation, especially in the coal mining belt. Of his government’s triple flagship programme – water, revenue and jobs – it’s the drinking and irrigation projects initiated under Mission Kakatiya and Mission Bhagiratha that are doing miracles in Telangana, the mine workers say. “We come from a family of farmers and never in our lifetime has any chief minister given so much thought and importance to our problems like KCR. We have hope he will do good once again,” Mallaiah adds. However, while the voters say they will back KCR at any cost, they’re not very happy with his candidates in these districts. The TRS has fielded its former MLA Diwaker Rao to contest the polls from Mancherial. Sensing strong support for the party in the region, TRS has decided to field him for the second time. However, the mine workers say they despise Diwaker Rao and swear that Diwaker Rao would never have their votes if not for their beloved leader KCR. “Nandipalli Diwaker Rao is a liar and a hypocrite. He promised development and pledged to attend to all our problems. For over four years he remained inaccessible. He trotted about Mancherial and made tall claims. His goons were right there to enforce his will. He has probably come back to do his worst. If he was not in KCR’s party, we would never, ever vote for him,” says 52-year-old Posaiah, a support man, who works in the Mancherial underground mine. Mine workers also allege that the leader of the TRS trade union, Ravinder Reddy, is unsupportive and dictatorial, and also corrupt. “Ravinder Reddy is working hand in glove with Diwaker Rao. All the trade union leaders want is to extract money from mine workers when they go to them for help. Apart from KCR, no one here at the local level has helped us. There have been various governments run by Congress and TDP in the past but no one has delivered on promises like KCR,” Posaiah adds. The disenchantment prevails throughout the state’s six coal mining districts with workers expressing their antagonism towards the local MLAs. In Chennur district, the situation turned so grim that the party had to replace its first pick – Nallala Odelu, the former MLA – and replace him with Balka Suman. The mine workers in Mandamarri are disgruntled and fear losing their jobs once the underground mine is converted to an open cast mine. “Nallala Odelu promised us that he would not allow the area to be converted to an open cast mine. He is a liar and he was complacent all along. We would never have voted for him, even if KCR had asked us to. We will vote for Balka Suman. He has also brought up the issue of forgoing income tax for mine workers. We will vote for him because KCR has given us a lot of benefits,” says Narayana, an employee with the KK1 at Mandamarri. 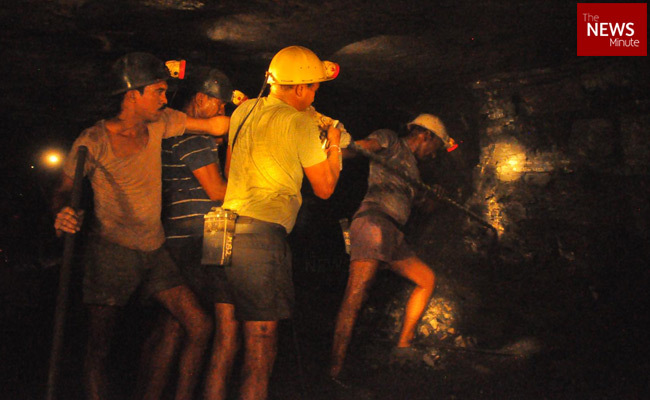 Speaking to TNM, Balka Suman says that earlier this month, he raised the issue of waiving income tax for Telangana’s mine workers in the Parliament. “We have also promised to give interest free home loans for mine workers and free air conditioning if re-elected,” Suman says. The electorate of the coal mining areas of Kothagudem, Illandu, Ramagundam, Mancherial, Manthani, Bhupalpally, Sattupalli, Chennur, Pinapaka and Bellampalli is 18,08,696. Of this, around 4,80,000 voters are employees of coal mines and their family members, thereby making a large vote bank. In December 2017, the state government headed by KCR had announced a scheme which would forever change the electorate’s minds about the TRS supremo. 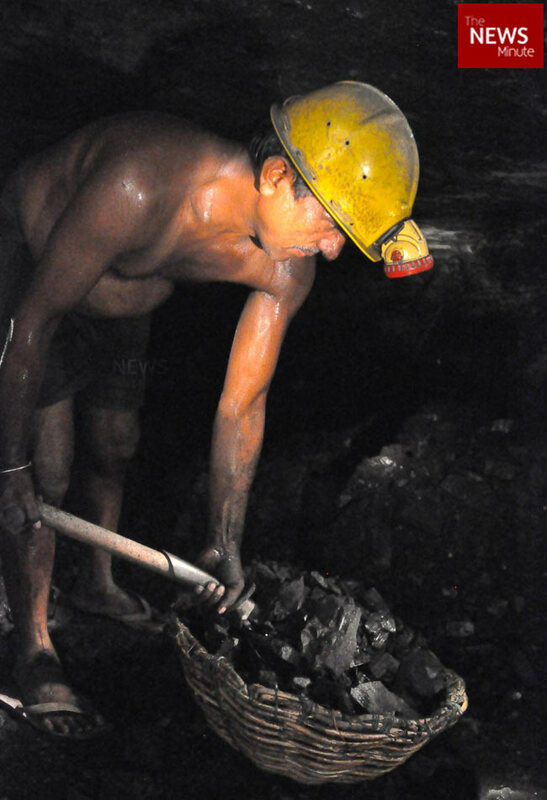 The government announced to provide free electricity to 2.3 million farmers and coal mine workers. For a state, where its rural areas riddled with rampant power cuts, electricity was a commodity much sought after. By offering an essential commodity, free of cost, KCR managed to win the loyalty of Telangana’s farmers and mine workers. “When Chandrababu Naidu was the CM and when Telangana was not a separate state, all the hard work of the mine workers was for naught. All the electricity generated through the coal supplied from our mines were lighting up homes in Andhra Pradesh. Four years ago, we had electricity for four or may be five hours a day if we were lucky. Now we have free electricity throughout the day. KCR has done what Chandrababu could not for decades,” says P Ramaiah, a 59-year-old worker with the underground mine at Ramagundam. The free electricity scheme also gave a thrust to farmers, who were already reeling from a major water crisis. 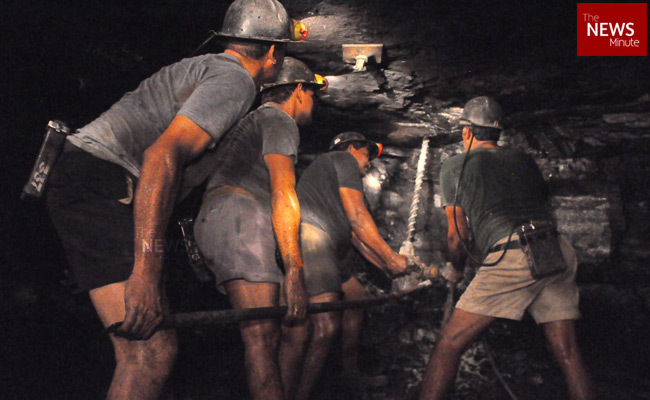 The mine workers, whose families also cultivate crops, were in a fix. “We did not have power to pump water into the fields. We were able to grow only one crop in a year. Now we are able to grow two crops in a year. In addition, KCR is giving us Rs 4,000 to cultivate one acre of land. This is helping us recover from our debts,” Ramaiah adds. According to data obtained from the Singareni Collieries Company Limited, between 2000 and 2014, a total of Rs 573 crore of the profits earned were disbursed among the mine workers. However, in just one fiscal (2017-18), the mine workers have received a profit of Rs 327 crore. Apart from increment in disbursal of profits, 7,200 new jobs were created in SCCL alone and has promised to create more jobs in the coming years. The festival bonus given to the mine workers has also increased. “We have given a bonus of Rs 1 lakh per employee in the 2017-18 fiscal,” says SCCL PRO Mahesh. “No one will vote for the local MLAs. They do not have any sort of support. They are all campaigning with KCR’s photo in the background. Everyone will vote for KCR because we see him as a god,” Mallaiah says.